Whether at home, a training facility, horse show, or equine sporting event, our clients can expect outstanding care, attention to detail, and a superior level of customer service. Our veterinarians' cell phone numbers are provided below. Please feel free to call them directly to schedule an appointment, ask a question, or to review your horses health and veterinary care. Dr. Byrne graduated from Colorado State University School of Veterinary Medicine in 1996 and began his veterinary career in Arizona that same year. Dr. Byrne is continually updating his education to bring his clients the best the veterinary profession has to offer. 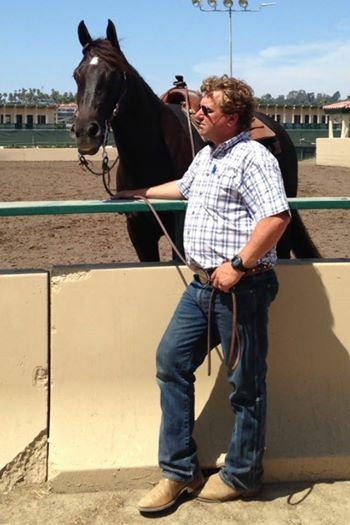 His professional services include equine sports medicine, lameness and joint disease, and reproduction. Dr. Byrne has been a mentor to veterinarians, veterinary technicians, students and horse owners alike. Dr. Wilson attended Northern Arizona University, where she earned a bachelor's of science in Zoology with a minor in Chemistry. In 2005, she received her doctorate in Veterinary Medicine from Colorado State University. After vet school, she completed a one year equine internship at Pioneer Equine Hospital in Oakdale, California. Dr. Wilson worked as an ambulatory equine veterinarian at Conejo Valley Equine in Thousand Oaks, CA before returning to Arizona with her family and joining the team at Equine Veterinary Services. Dr. Wilson's professional interests include reproduction, ophthalmology, internal medicine, ultrasound, wellness and geriatric care. When she is not working, she enjoys spending time with her husband and two sons and trail running. Her furry and feathered family includes a pony, two corgis, a Border Collie and chickens.